It was absolutely brilliant! Even though I trained as paediatric nurse, your session was the best I’ve come across as no one really teaches well about the ins and outs of this problem so thank you for this great session. I am now booking on the Mindcraft webinar! ”I really enjoyed Lynda Hudson’s webinar training session. A fascinating subject. Lynda’s knowledge and guidance was excellent. I am really looking forward to more ongoing distance training from Lynda as it is a platform that works so well on very many levels. The quality of the handouts was superb and I just need to crack on with my assignments now to get my CPD certificate. Thanks Lynda”!!! “Lynda – thank you so much. I‘ve really enjoyed and learnt a great deal from your interactive on-line course. It’s so nourishing to listen to a wise, knowledgeable, experienced voice. Already, I’ve been able to apply your teaching and ideas to my daily work. My two best friends are your ‘Scripts and Strategies for Children’ books – so thank you for those too! What an amazing treasure and gift to have found you. It has been one week now of listening. My body, mind and emotions feel so much better. When I complete another 2 weeks with After Trauma, I’m excited to begin the audio on self-confidence. I have tried many of these types of audio tracks before by a number of very well known, highly recommended professional clinical hypnotherapists. I have not found any relief or improvement until now. My daughters have loved listening to various recordings of Lynda’s over the years which help to get them calm and relaxed at bedtime and have helped with various issues such as sleeping, fussy eating and bad temper. They particularly like the imagery that is used in the recordings. My six year old son had become a very fussy eater. He ate very well until he was three and then become fussier and fussier. Until recently, it was a struggle to get him to eat almost anything (except for biscuits etc). Meal times had become very unpleasant for everyone. So now I put on this CD at night, after our bedtime routine and he goes quiet and sometimes I think he falls asleep quite quickly. I haven’t actually spoken about it. He is used to relaxation CDs. In any case, he has started eating much better. He is enjoying fruit again and eats his veggies. He does grumble about them still but it is not a battle anymore. He is enjoying a variety of foods that he just stopped wanting to try. He even asks for more healthy food. Love it ! My grandson was very anxious about starting high school and this CD was brilliant. He plays it every night when he goes to bed and is asleep very quickly whereas before worrying kept him awake. For your kids…I use it all the time. I am 40 years old. I use other ones, too. This is a keeper for me. First discovered this lady’s CDs in my local library. She is amazing. Very talented. It’s impossible to put into words how well she constructs her words. Suffice to say I have begun to build up quite a collection of her CDs They are very VERY good and she has a lovely voice too. I would like to say how much I appreciate the downloads. First one I downloaded was Stop clenching your teeth. I do this and get a lot of pain. This has helped me so much. I have now downloaded the one about Obsessive thinking. This has been a problem for me for many years. I hope there will be more to come, if you ever do one on fidgeting I will be first to buy it ! Just wanted to give you feedback on the ‘I love School’ CD. My 3 and 5 year old sons absolutely love it. They have to listen to it every night and have it installed on their iTeddy mp3 player and ask for Lynda!!! ‘’Thank you so much Lynda. My daughter Isobel was wetting the bed every night. She is 5 years old and we’d tried everything, lifting her, cutting down on drinks … the lot. Got the ‘I’m dry at night’ CD and played it once when in she was in bed just dozing and then again after I lifted her and she went all through the night and was dry in the morning! Lynda produced a tailor made recording for me when I had my brain haemorrhage, she knew what type of questions to ask too. It’s been a wonderful help, I listened every day, sometimes falling asleep! It really has helped me to recover and I am truly grateful. It’s been 2 years now and I still listen, not so often as I did, but it’s so helpful. Amazing lady! I was going through a difficult time and feeling very worried and anxious so my sleeping was very disturbed. 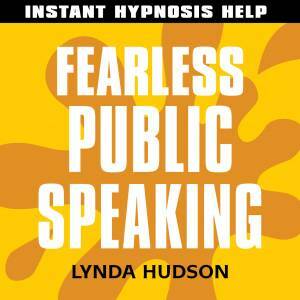 Lynda’s sessions and audios that she tailor made for me were amazingly helpful. Many, many thanks! I am resident in Germany and suffer from Parkinson’s Syndrome. I was at first dubious about the benefits of treatment by hypnotherapy but decided to try it. I have now travelled to London on several occasions for sessions with Lynda. Although Parkinson cannot be cured, the sessions with her have enabled me to handle the inevitable Parkinson problems with a much more positive attitude and allowed me to enjoy a much better quality of life I would recommend anyone considering hypnotherapy to contact Lynda. I first consulted Lynda about fifteen years ago when I had suffered a serious health crisis, had been badly affected by work problems and had lost all my confidence. She worked with me with such care and kindness that I gradually regained my confidence and found that I could cope with life’s stresses so much more easily. Over the years since then she has helped me with various other issues including coping with root canal treatment, muscle tension and pre-operative relaxation. In short, she has given me my life back and I would not hesitate to recommend her to anyone. I just wanted to write a quick update to say how Luke is doing now and to say thank you from the heart for all your help. I now have a boy that is feeling more happy about himself and things that are happening around him. He’s been listening to the CD every night and to tell the truth he is feeling better and doesn’t have the need to talk about the issues before bedtime anymore like he used to!